This 1 day seminar introduces the NGEurope programme and outlines the free 5 day Leadership programme. At this free seminar local NGO's will share their stories and explain the issues new and existing NGO's face. There will be opportunities to meet the founders of NGO's and to ask questions. NGEurope focuses on social and environmental issues by upskilling existing staff and other individuals who want to contribute to these fields. 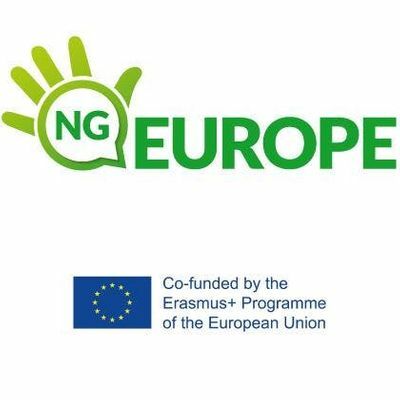 NGEurope is an ideal opportunity for you to learn new things, become active for your cause and make an impact in your community, if you belong to one of the following groups: Adult citizens who are passionate about an environmental or social issue and wish to learn how to take your campaign to the next level. Adult citizens who have a green / social business idea and want to develop it into a viable enterprise. Existing NGO staff members who want to be upskilled while continuing to work in your current position. Existing NGO staff willing to share their expertise and to support new leaders by participating in the project’s immersion programme.